307 Commercial Real Estate & Properties in Rockhampton City are listed in 8 categories. We have 104 OfficesSale & Lease , 91 Retail ShopsSale & Lease , 69 Industrial Warehouses Sale & Lease , 20 Other Commercial PropertiesSale & Lease , 17 Development LandsSale & Lease and 4 Hotels and LeisureSale & Lease . Office Complex - Suit Owner / Occuppier Or Investor $235,000 + GST (If applic.. Situated in the CBD area Modern office building comprising, large reception area, 3 offices, kitchen, storage and amenities plus ample on site parking and lane access Well below replacement cost this will sell at $235,000 + GST (If applicable). 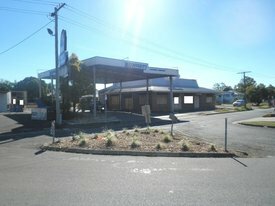 Absolute prime location on major road Adjoins Subway & Dominos Pizza outlets Ex McCafferty's Coach Terminal with drive through set up Storage shed and undercover parking area and hardstand Rare opportunity available for redevelopment Contact Robin McArthur for more details or to arrange an inspection. Shops Office Busy Main Road Rockhampton $ 2933 PCM plus Gst &..
Shop/offices Busy Main Road Rockhampton $3520 PCM plus gst &..
For Lease - From $180 P/m2 + Gst + Outgoings From $180p/m2 + GST + Out..
Offices For Lease Areas available from $180..
Modern two storey office complex, lift in the building, wide variety or floor areas available e.g 118m2, 217m2, 450m2, 1173m2 Tenancies available with full office front, communal kitchen and toilet facilities, open plan work areas, training and conference rooms. The availability of onsite parking and basement parking allows for easy access anytime. Area 140m2 Rent including Outgoings Plus GST First Year: 2 months: RENT FREE 3 months: $2,383.33 p/m + GST ($550 p/w + GST) 3 months: $2,816.67 p/m + GST ($650 p/w + GST) 4 months: $3,250.00 p/m + GST ($750 p/w + GST) Second Year: $3,670.33 p/m + GST ($847 p/w + GST) Further Option: 3% or CPI whichever is lesser Directly beside McDonalds and opposite Puma / Mobil service centre and Greyhound's Bus Depot, is this prime shopping centre. This shopping centre has credible tenants including Foodworks and Pizza Capers and has a great mix, including professional offices and service industries. On offer is an 140m2 tenancy. Parking is ample and a breeze to drive in and out from both highway and rear lane. Area 200m2 Rent including Outgoings Plus GST First Year: 3 months: RENT FREE 3 months: $3,250.00 p/m + GST ($750 p/w + GST) 3 months: $4,116.67 p/m + GST ($950 p/w + GST) 3 months: $4,550.00 p/m + GST ($1,050 p/w + GST) Second Year: $5,200.00 p/m + GST ($1,200 p/w + GST) Further Option: 3% or CPI whichever is lesser Directly beside McDonalds and opposite Puma / Mobil service centre and Greyhound's Bus Depot, is this prime shopping centre. This shopping centre has credible tenants including Foodworks and Pizza Capers and has a great mix, including professional offices and service industries. On offer is an 200m2 tenancy. Parking is ample and a breeze to drive in and out from both highway and rear lane. Vacant Land- Excellent Location $769.23 p/w + GST + Outgo..
1521sqm Vacant Land conveniently located on busy Highway. Situated next to Porky's Motel and fast food outlets. Rear lane access. Office For Lease- George Street $62.25 p/w + GST + Outgoi.. Directly beside McDonalds and opposite Puma / Mobil service centre and Greyhound's Bus Depot, is this prime shopping centre. 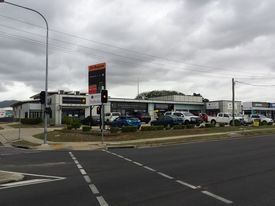 This shopping centre has credible tenants including Foodworks and Pizza Capers and has a great mix, including professional offices and service industries. On offer is an office tenancy (3.7m x 4m). Parking is ample and a breeze to drive in and out from both highway and rear lane. 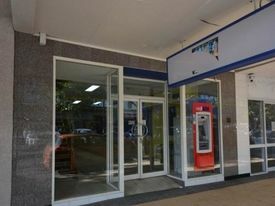 For Lease- Shop On George Street $346.15 p/w + GST + Outgo.. Directly beside McDonalds and opposite Puma / Mobil service centre and Greyhound's Bus Depot, is this prime shopping centre. This shopping centre has credible tenants including Foodworks and Pizza Capers and has a great mix, including professional offices and service industries. On offer is an 60m2 tenancy. Parking is ample and a breeze to drive in and out from both highway and rear lane. Medical Investment With Long Term Blue Chip Tenant Expressions of Interest. 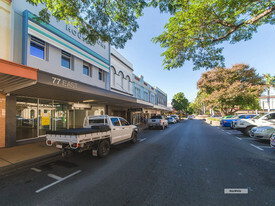 A rare opportunity to obtain a premium Rockhampton CBD investment with a long term secure covenant is now available through Expressions of Interest. A Purpose built Pathology Laboratory, 100% Leased to QML Pathology Laboratory, a subsidiary of Primary Healthcare one of Australia's Largest Healthcare companies have a secure lease to 2022 with options to 2032. Passing Net Income of $233,295 and located strategically in Rockhampton's CBD this investment is worth inspecting today. Situated in a handy CBD location and ideal for tradesman. Comprising air conditioned offices, reception area, warehouse at rear, kitchen and amenities of approximately 280m2 with rear lane access. The property inspects well and vacant possession is available. The property inspects well and is For Lease at $2,000 a month + rates. Also available for sale and priced right at $249,000. Located conveniently on the corner of Denham and Kent Street is this near new office building in close proximity to the busy CBD. Ducted air conditioning and a near new open plan fit out will keep you feeling fresh all year round, all that is left to do is configure your layout, move in and start trading. In addition to the 75m2 office area you will benefit from having convenience right at your door step with off street parking for your customers and a gated staff car park out the back. Call Jade Carr today to inspect. 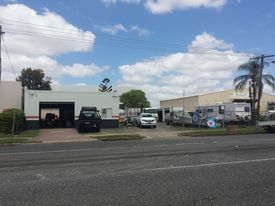 Industrial Complex Rockhampton Cbd $ 2916 PCM plus gst &..
Quality Modern Industrial Showroom/warehouse $ 4775 PCM plus Gst &..
For Lease- Unique Space, In The Centre Of Town. From $7,000 p/a + GST + O..
Take advantage of this trendy retro arcade offering a range of flexible spaces with immediate access to East Street, Quay Lane and a short walk to the completed Quay Street Riverside Revitalisation Area. A perfect opportunity for a shop, speciality retailer associated with personal services, or office. Units ranging from 26m2 to 162m2 ground floor at competitive rentals. First floor suites/studios from 26m2 to 126m2 also on offer. These unique offerings have endless possibilities for an iconic business. Call Jade Carr on 0439 989 636 today to arrange your appointment. Ideal Exposure The Perfect Precinct From $200/m2 - $270/m2 + ..
Prime Commercial Property Heart Of Rockhampton $ 3333.33 PCM plus GST &a..